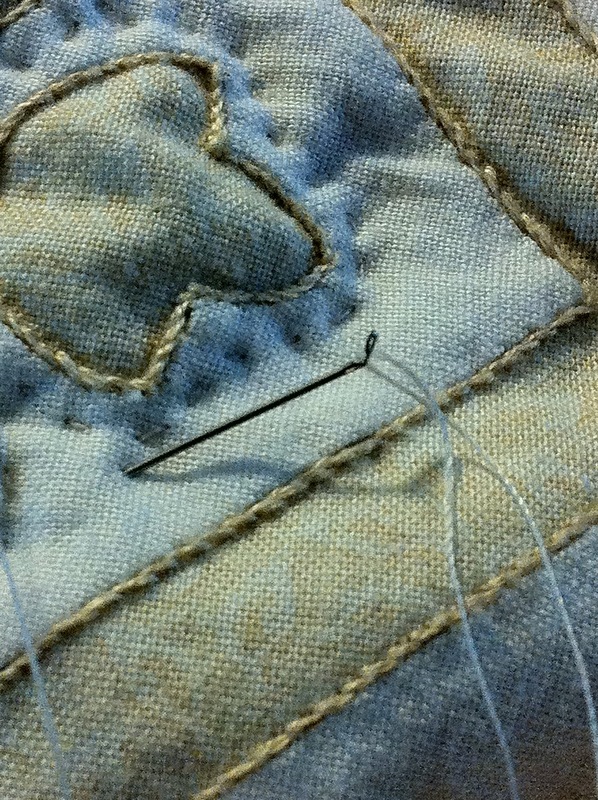 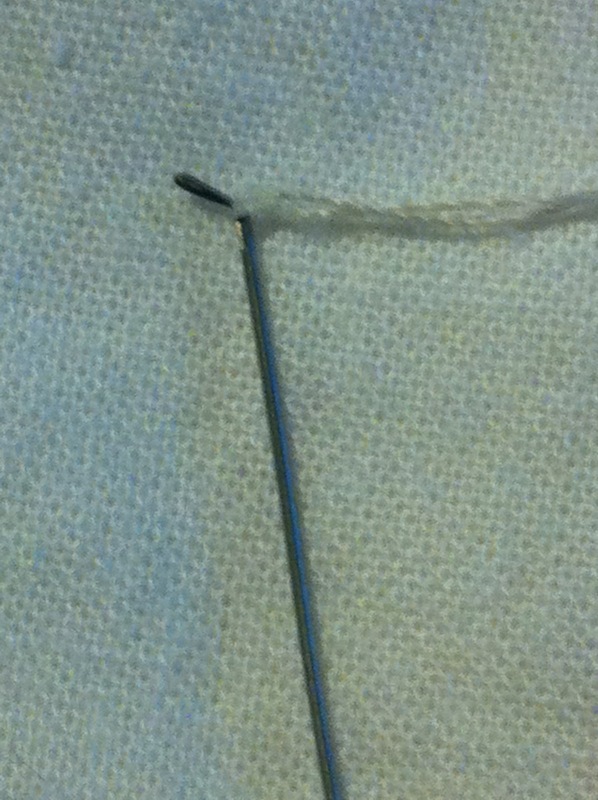 .....my needles have been bending right at the bottom of the eye. 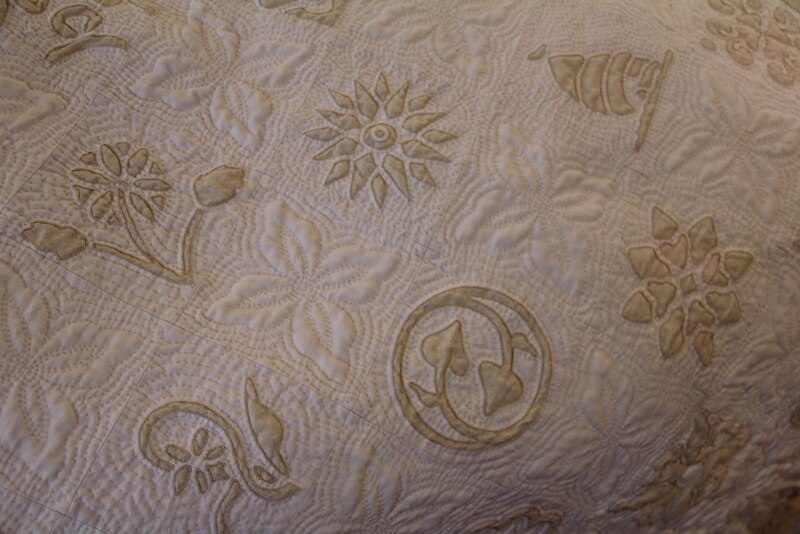 Just in case you are interested in the quilt I am working on here is a sneak peak. 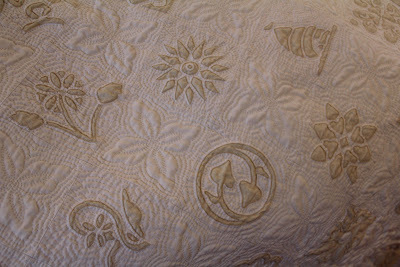 It's the Dutch Treat quilt I started in 2005, and it's more than half quilted. I'm anxious to finish it so needle problems are not fitting into the schedule right now!